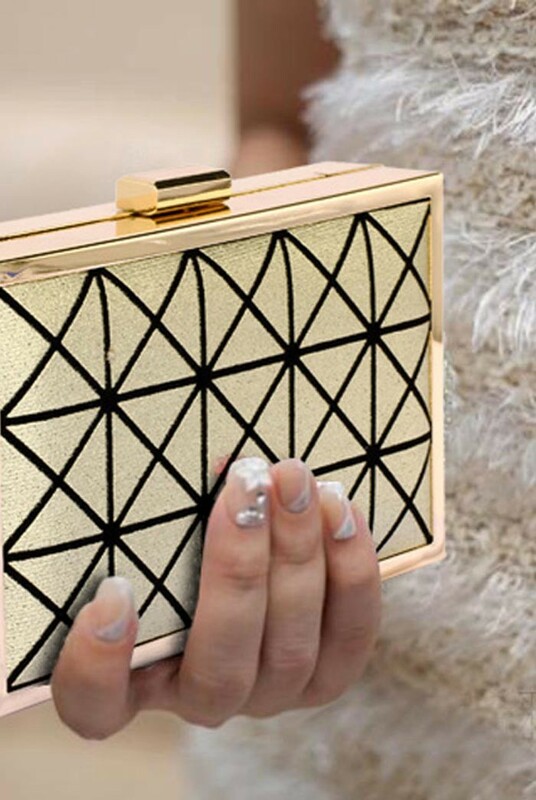 Form an orderly queue ladies, this Gold Deco Clutch is literally the only vintage handbag you will need this season. Those fabulous triangles of fabulousness form the most exquisite pattern creating a geometric handbag that would leave the most fashion forward follower in a tizz. 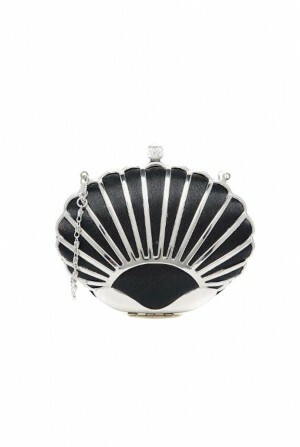 Whilst being totally on trend for geo shapes, this is also an incredible art deco handbag making it the perfect pick for aspiring speakeasy starlets too. 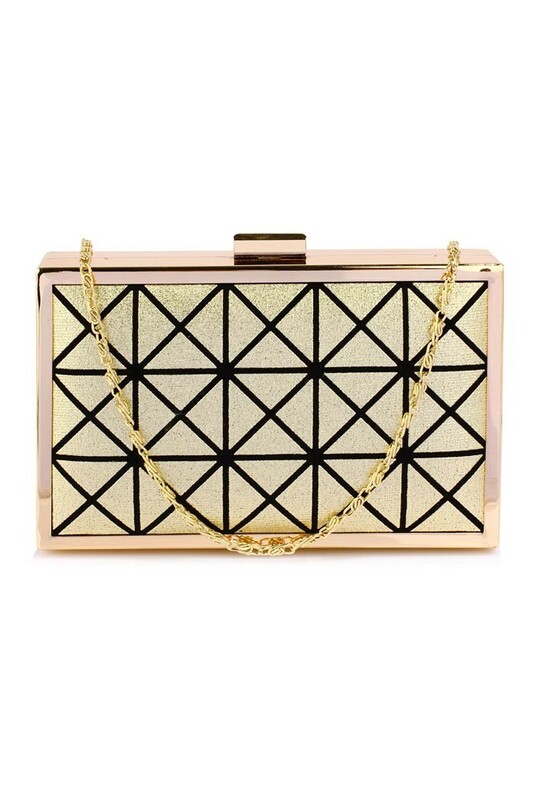 This is a gold metal framed clutch in rectangle shape featuring a fabric rectandular centre with geometric print. The bag has a concealed chain strap and a small interior pocket and measures 10 x16 cm.